Living in the city means you have the opportunity to catch a lot of Broadway shows. I love taking my kids to see the musicals. It is magical. 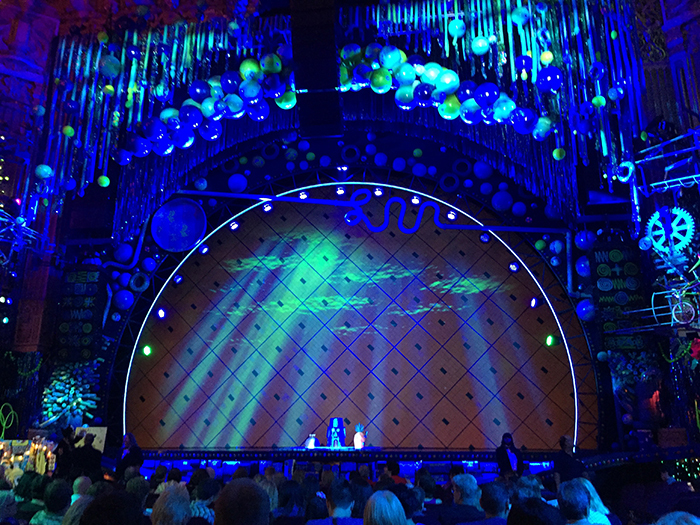 I was thrilled to be able to experience the Pre-Broadway World premiere of The SpongeBob Musical at Chicago’s Oriental Theater. Let's just start by saying, when you get a really talented group of people together, magic happens. THIS is Bikini Bottom! I was BLOWN away. 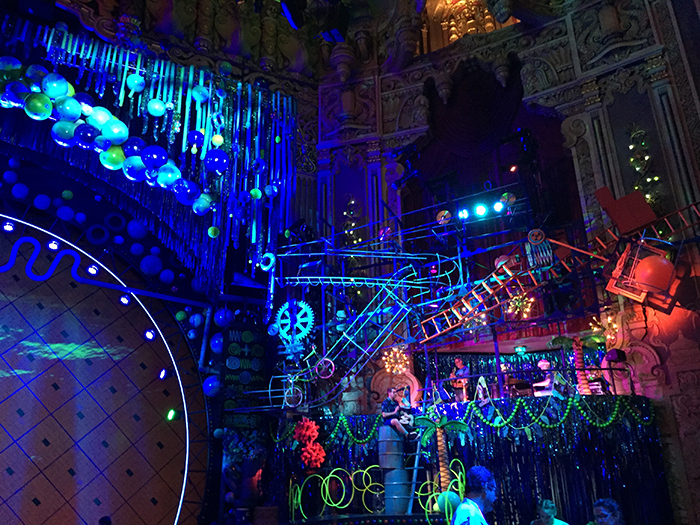 I am in awe of the sets and the costumes. Amazing doesn't even begin to cover it. Ethan Slater does an over the top performance as Spongebob. I sat there wondering if he just watched hours and hours of Spongebob cartoons. He NAILS it as our favorite yellow sponge. The music features original songs by Steven Tyler and Joe Perry of AEROSMITH, Yolanda Adams, Sara Bareilles, Jonathan Coulton, Lady Antebellum, Alex Ebert of Edward Sharpe & the Magnetic Zeros, The Flaming Lips, John Legend, Cyndi Lauper, Panic! At the Disco, Plain White T’s, They Might Be Giants, T.I. AND a song by David Bowie. WOW! From Mr Crabs, to Sandy, to Plankton, to Pirate Patchy, everyone was magnificent...but I gotta tell you...Squidward takes it to another level. Gavin Lee and his tentacle pants were literally perfection. 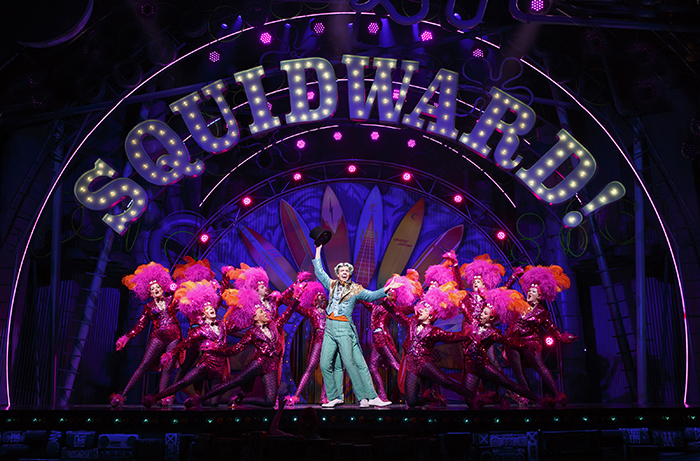 Squidward's tap number in the second act is what Broadway musicals are made for. I laughed and cheered so hard I cried. CRIED ya'll! I'm talking too much when what I really want to tell you is GO NOW and grab tickets to this show before it leaves Chicago July 10! Purchase tickets here before it leaves Broadway in Chicago July 10th!! I have a Buy one ticket, get one FREE special for you!! Click here and use code SANDY to purchase. *Offer valid for all performances through July 10. Must purchase at least two tickets for offer to apply. Offer will be reflected as 50% off each ticket. Not valid with any other offer or on previously purchased tickets. Normal ticketing fees and other restrictions may apply. Subject to limited availability. Offer ends Sunday, July 10 at 2 pm Central. 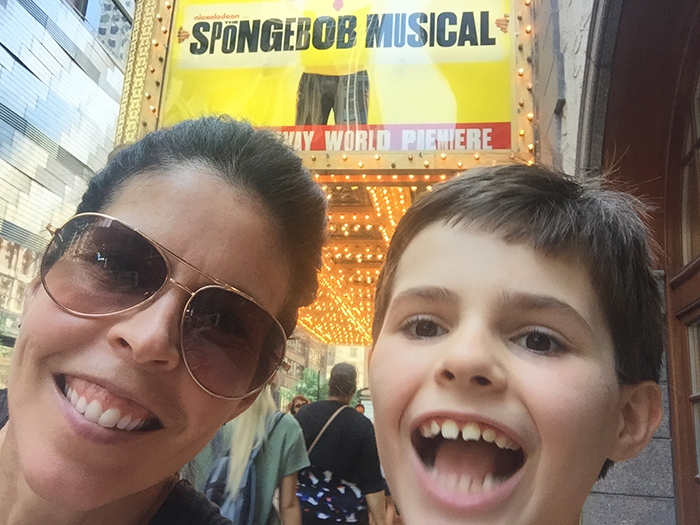 When I mentioned to folks I had seen The Spongebob Musical I had a lot of people say, "Oh is that just for kids?" I want to tell you it's not. It's for everyone. My husband has never seen an episode of Spongebob and he laughed out loud and loved it. On the bus ride home, the kids and I were looking over the program. A gentleman sat down and asked, "Did you enjoy the musical?" To which we all replied LOVED it. He said, "My kids are well into their 20's, but they grew up on Spongebob. We all went together and had a BLAST!" I am sorry but I have a complaint. That child is growing up too fast. Last time I looked, he was little !! Now slow it down or I will come there and give you a good talkin' to ! I know! He is WAY too big, WAY too fast! Please tell me how to slow it down! The show looks so awesome! Now I want to see it too! Did you make it over to see it?